In addition to her two books The Beauty Diet and Strong, Slim, and 30!, Lisa is a health and nutrition contributor to CNN, and appears in the pages of many of the country’s top magazines, on her own website and others. Lisa’s brand-alliances have put her at the forefront of innovative food, beverage and beauty product launches, and her counsel is sought from the boardroom to the test kitchen. She’s simply the “go-to” when it comes to finding a relatable authority in today’s environment where beauty, nutrition and health are intertwined. Lisa has been a regular contributor to CNN, CNN Headline News, and WCBS-TV. She has also been a columnist and contributing editor for Women’s Health and has written for various media outlets. Lisa has been a familiar face on television for the past 15 years and her on-air reporting has made her a trusted health authority with a loyal viewer following. Her appearances began at CNN as an occasional subject expert and quickly multiplied. She became a regular contributor at CNN and the in-house nutritionist for the network’s primetime programming. Lisa created and developed CNN’s “Breakfast with Daybreak” segment, producing and delivering health and nutrition reports for CNN’s flagship morning show and concurrently appearing on CNN’s sister network, Headline News. She added WCBS-TV to her portfolio in 2004 when she joined as a health contributor there. 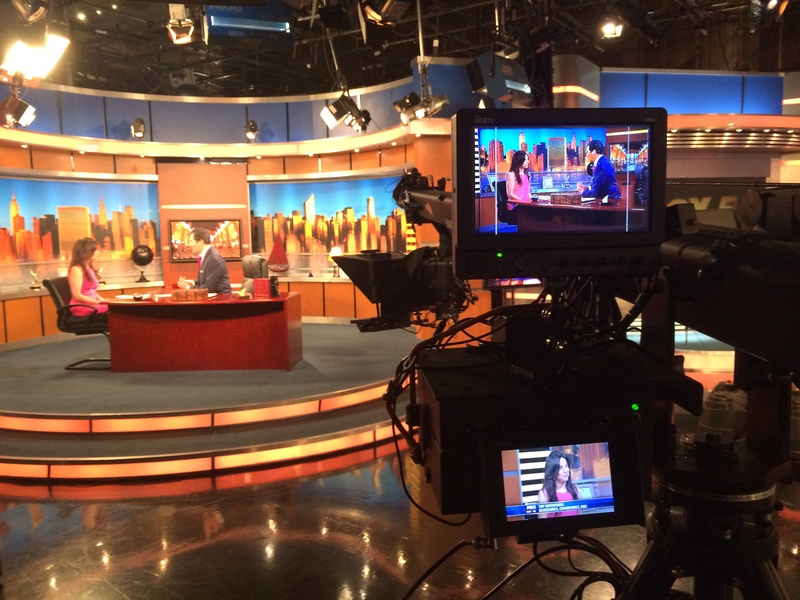 Lisa has made frequent appearances on all three network mornings shows and national cable outlets. Her input, advice and reporting can be found on other TV and radio stations across the country. Lisa’s dedication to the highest standards of nutrition journalism earned her the American Dietetic Association’s Media Excellence Award. 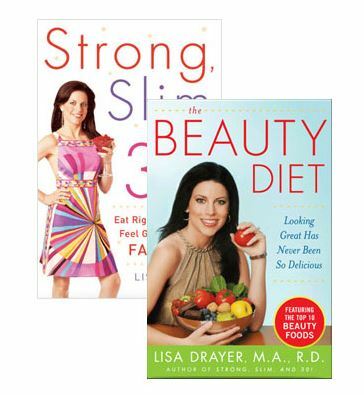 Lisa is the author of two must-have books for women interested in living a healthy life and looking their best: THE BEAUTY DIET: Looking Great Has Never Been So Delicious (McGraw-Hill) and Strong, Slim, and 30! Eat Right, Stay Young, Feel Great, and Look FABULOUS (McGraw-Hill). Lisa’s books translate complex science into practical advice and present it in a friendly approachable style. She’s taken all of the research she done, all of the studies she read and all of her own personal experience and developed the “Beauty Nutrition Platform” where science and beauty come together. What Lisa provides in her books is straightforward, proven solutions to naturally improve our health and beauty. Through her science-based advice and professional expertise, Lisa demonstrates that by consuming a diet rich in beauty nutrients, you can achieve more radiant skin, shinier hair, whiter teeth, brighter eyes, stronger nails and a slimmer body. Who wouldn’t want that? As a visionary in the fields of nutrition and beauty, Lisa has created a unique niche and is a highly sought-after spokesperson and advisor to some of the most prestigious health and beauty companies, helping with product development, product launches and brand awareness campaigns. She has been a spokesperson for the “Got Milk?” campaign, Crest Pro-Health, Starbucks, Pepperidge Farm and One A Day Women’s Multivitamins, where she promoted the company’s “Take A Stand Against Breast Cancer” program. She has also served as a consultant to Maybelline/Garnier. As a nutrition counselor in private practice for almost 20 years, Lisa has helped many clients improve their health and achieve their weight loss goals. She has counseled some of New York’s most prestigious and visible personalities from television celebrities to high-profile executives. Her expertise includes beauty nutrition, weight management, pre- and post-natal nutrition and general nutrition and wellness. Lisa was also the Director of Nutrition and Editorial Services for a popular weight management website, where she designed the company’s online subscription-based weight loss programs, which offered customized meal plans and individualized feedback on members’ diets. 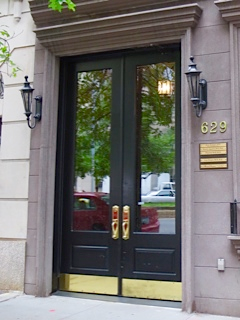 As a distinguished nutritionist Lisa has been a speaker for the American Dietetic Association, United Way’s Women United in Philanthropy, the Greater New York Dietetic Association, Purdue University and the American Liver Foundation. Lisa was born and raised on Long Island, New York and received a Bachelor of Science with Distinction in Nutritional Sciences from Cornell University. She completed her dietetic internship at Brigham and Women’s Hospital, a teaching hospital of Harvard Medical School. After earning her Registered Dietitian credential, she received a Master of Arts from the Science, Health and Environmental Reporting Program at New York University. Lisa lives in New York City with her husband and their two daughters.